Up to Six Innovators Will Earn Prize Money for Effective IoT Security Solutions. Cisco, the worldwide leader in networking, and NineSigma, a leading innovation company, announced the Cisco Security Grand Challenge: A Global Initiative to Secure the Internet of Things. Winners of the challenge will share up to $300,000 in prize money for innovations that help prevent attacks on Internet-connected devices. According to Cisco, the number of these devices, from cars to medical monitors to kitchen appliances, is projected to grow from 10 billion today to 50 billion by 2020. Collectively, this network of devices is known as the Internet of Things (IoT). Grand Challenges enable organizations to reach out to qualified solution providers all over the world for help with problems that are too large or complex to be tackled by one entity alone. NineSigma manages every aspect of these highly public “events”– articulating the challenges, contacting technical communities, developing a prize strategy, and improving global awareness. “The Internet of Things has the potential to improve healthcare, transportation, energy transmission, and more in unprecedented ways. However, the more we depend on Internet connectivity for every aspect of our lives, the more vulnerable we are to new kinds of attacks. This Grand Challenge offers us the chance to build an exciting and secure future for the world, rather than forcing us to react to unknown threats,” said Maciej Kranz, Vice President and General Manager of Corporate Technology Group, Cisco. Cisco is seeking solutions for malware defense, security credential management, and privacy protection from companies, open source communities, researchers, consultants, venture capitalists, entrepreneurs, and inventors. The company will award $50,000-$75,000 in prize money for up to six solution providers. 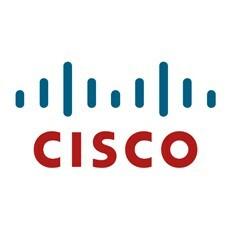 In addition to a monetary award, winners may have opportunities for future collaborations with Cisco. Feasibility, scalability, performance, and ease of use. NineSigma is promoting and managing the Grand Challenge through its open innovation platform, NineSights.com, where solution providers can find entry requirements and evaluation criteria, and link to a proposal template. The submission deadline is June 17, 2014. For more information, please go to http://www.ninesights.com/community/cisco.